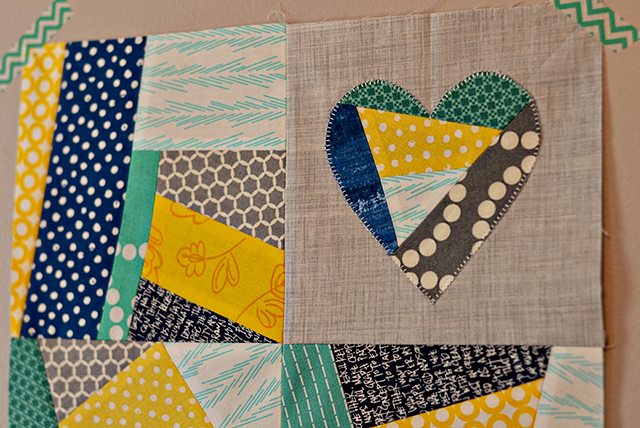 Bijou Lovely: Quilts for Boston. 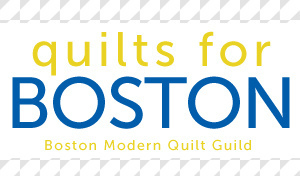 Since I'm in Boston this week, I thought it was a good time to share some information about the Quilts for Boston relief effort being put on by Boston Modern Quilt Guild. The goal is to make at least 50 quilts for those directly affected by the Boston Marathon bombings. 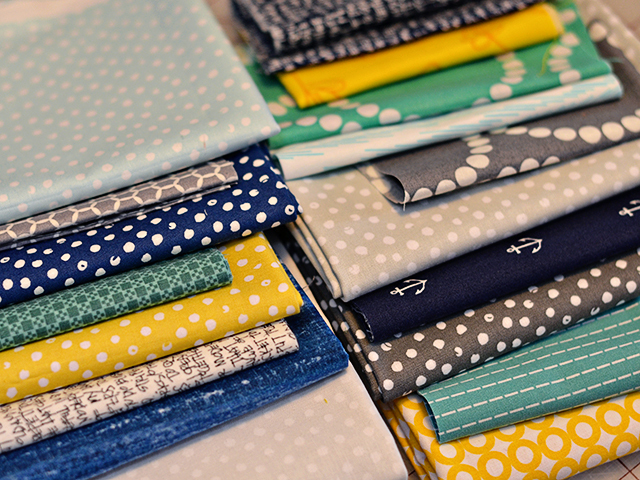 To do so, the BMQG is asking for help making quilt blocks in the color scheme of gray, white, blue, and yellow. 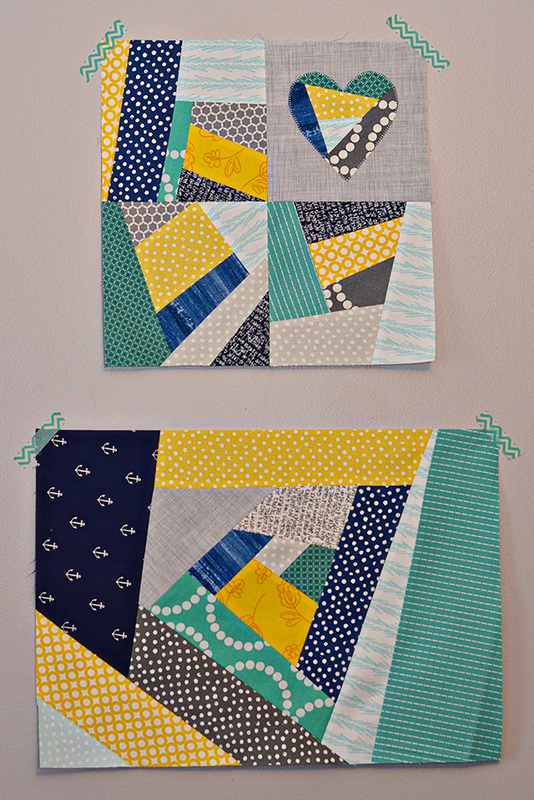 I pulled some fabrics from my stash and scrap bins to make my blocks. 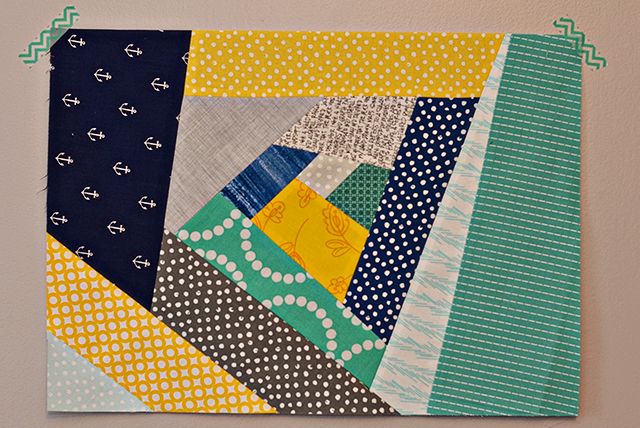 I finished up two blocks this weekend, just in time to hand deliver them to Natalie this week! 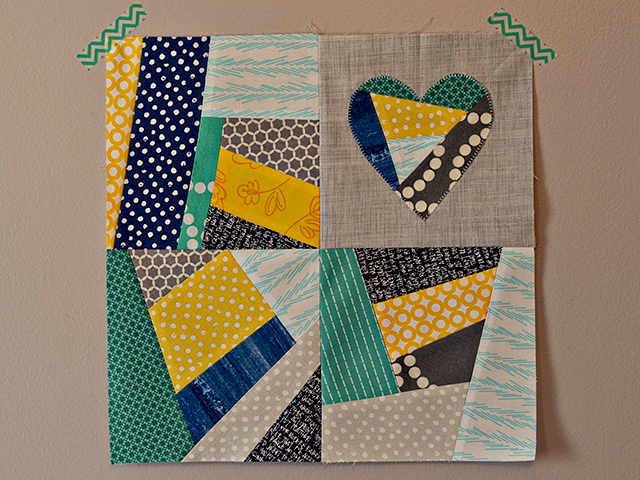 This one has a little improv heart applique. And this one is just random improv, although I do see a heart shape in it that was totally unplanned. If you're interested in making blocks to help out, please check out the details here. Blocks need to be shipped by May 24th. There's also an effort being put on by the Vancouver Modern Quilt Guild called To Boston With Love, in which they are asking for flag buntings to be flown somewhere in Boston this summer. I haven't made my flags just yet but I definitely plan to! Details of that effort can be found here. Flags need to be shipped by May 21st, and you can find the shipping information here. I hope some of you can find the time to help out with these efforts! Wow! This blocks are BEAUTIFUL! You are wonderful for participating in Quilts for Boston. As a BMQG member - thanks so much for making some blocks and publisizing your efforts - we are so overwhelmed by the generous response! My eyes made abstract letters from the first block that spell LOVE. Pretty blocks! I'm happy that I'vе haԁ the opportunity to finԁ bloggeг. com: it has the best material necessary for me. number of thoughts аbout thіs typе of matter uѕing intriguing аnd effective content. Woa, your new blog design is stunning! Loving the subtitle with your name right at the top. The triangle background is fun! These are beautiful blocks, Holly! Love, love!